Density: 176 dph & 534 hrh. 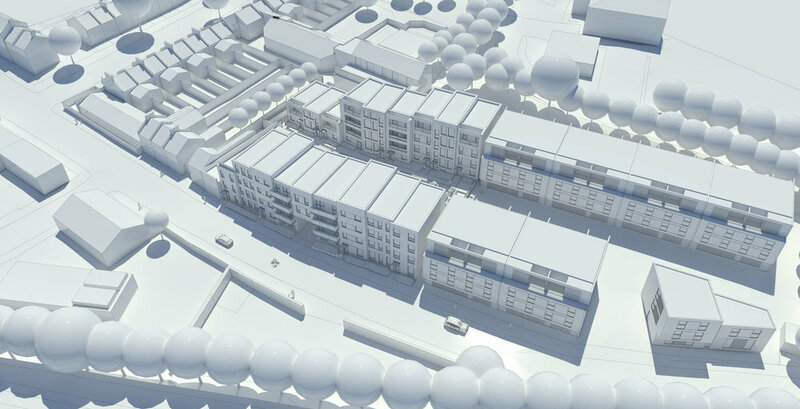 Nightingale Grove is a high-density urban regeneration scheme that replaces poor quality, light industrial buildings in Lewisham with 43 attractive new homes. 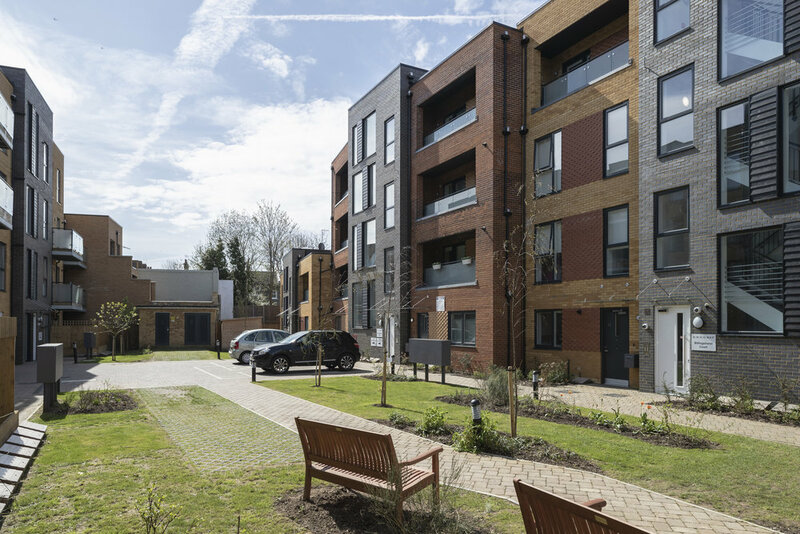 Making efficient use of the site, two terraces of apartments share a south facing landscaped garden courtyard. The dual aspect homes all have gardens or balconies. 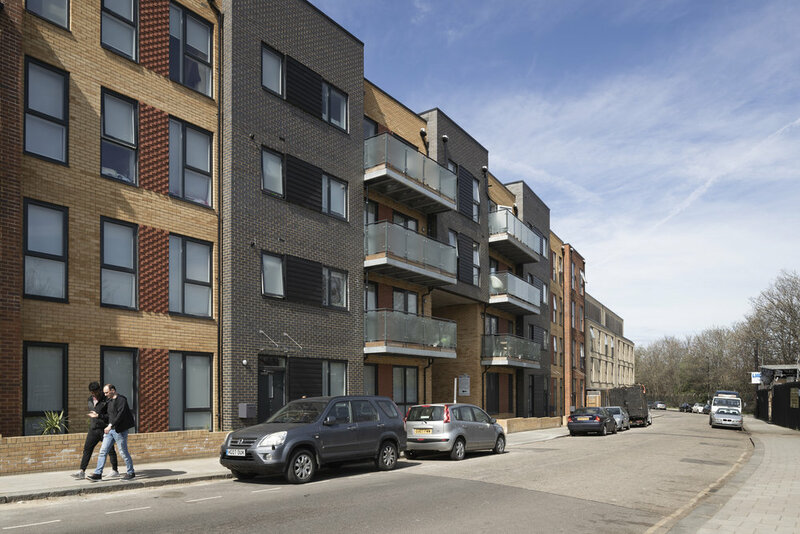 Neighbours were keen for the development to integrate with the local area and the project has been designed to echo the rhythm of the surrounding terraced houses, employing a variety of different brick types to articulate and provide texture to the street scene.